It's no secret that FC Barcelona's Week 2 La Liga match at Athletic Club Bilbao on Sunday night presents a sizeable, early-season challenge. At least, not to LuisEnrique. "Playing at San Mamés is one of the most complex games we have on the road," the Barça manager told reporters at Saturday's pre-match press conference. 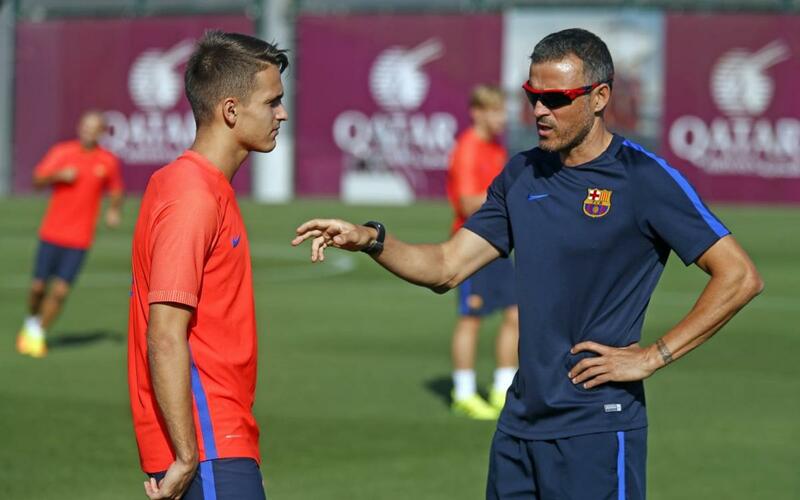 "They will make it tough for us to get the ball back when we lose it," Luis Enrique said. "They will create pressure up the field, and they have dangerous players like RaúlGarcía and [Aritz] Aduriz, who are powerful with ball and in the aerial game, not to mention IñakiWilliams when he's out on the wing and has the ball in deep." But despite the overtly ominous warnings, the Barça coach said he loved Athletic Club. "It won't be easy," he said. "Not now. Not ever. And my players know that," he continued. But, he said, "professional footballers love playing in places like that." The Barça manager touched on several other issues Saturday. Here are the highlights of what he had to say. "He was a great professional. I'd highlight the good relationship between the three goalkeepers during the past two seasons." "He did an amazing job, and he contributed greatly to the group." "The formula we had in goal would only have been successful with the way they treated each other. If there were a lack of understanding between them, it would not have worked. " "We're excited to play [Manchester] City, with the matchup against Guardiola and now Bravo. Now the fans can say farewell to him like he deserves." "We doubted whether to keep him or have him go get playing time elsewhere in the First Division and to return if he reaches the right level." "It was a good option because they have a coach who likes good football."